Team Evotri: Rural Girl Owns Lake Placid! Rural Girl Owns Lake Placid! 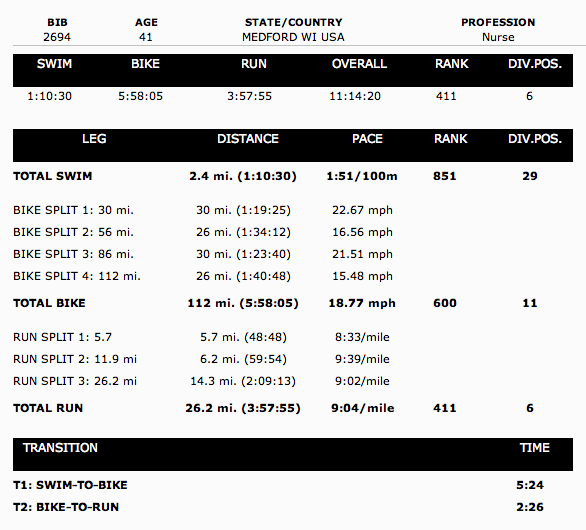 Hearty congrats go out to our teammate, Rural Girl, who just annihilated the Ironman Lake Placid course! UPDATE: Rural-Girl is Kona bound!! !